We've have started doing lots of fun things around here to get ready for Easter. 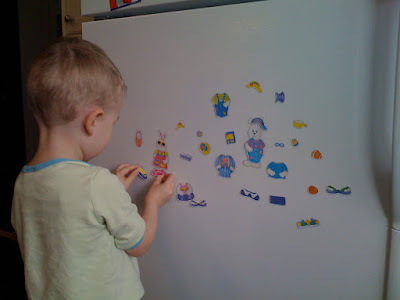 I found these super cute Easter magnet sets at the Dollar Store. 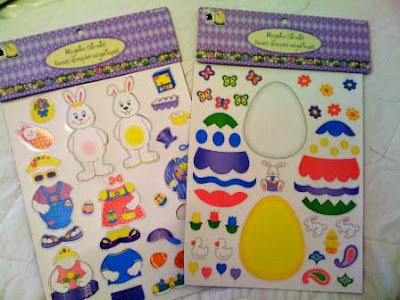 It's like playing paper dolls, but with bunnies and Easter eggs! Not bad for a buck a-piece! We have been reading quite a few Easter themed books from the library. 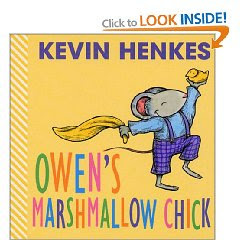 One of our favorites is Owens Marshmallow Chick by Kevin Henkes. Grayson really likes it because Owen likes his yellow blanket and the yellow marshmallow chick, and yellow is Grayson's favorite color. Sam likes the book (I think) because the pictures are simple and contrast with the page backgrounds. Since we are not going to be at home for Easter this year, I plan on doing an egg hunt here at home one day next week after watching the video. 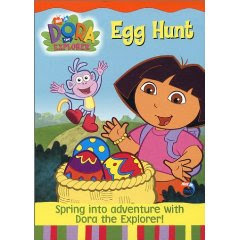 I also found printable Easter Cards, a coloring page and a certificate all featuring Dora and Boots. Very cute! 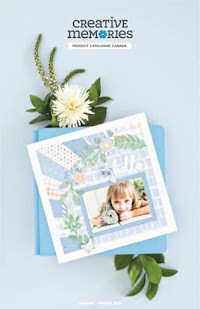 I used one of my Creative Memories Custom Cutting System patterns to trace a bunch of little eggs onto some cardstock. Grayson isn't big on coloring, so we will probably add some stickers or stamps to the egg shapes, cut them out and make Easter cards out of them for family and friends. I'll post some pics next week hopefully! Also next week we will make some Easter cookies to take with us to Lloydminster for our family, and I am gearing up to dye Easter eggs. I am both looking forward to it and dreading it! I got a "no-mess" kit, but we'll see how true that is! It will be our first try at it, but it should be good for a laugh! It has been lots of fun focusing on a holiday and doing lots of activities around it. 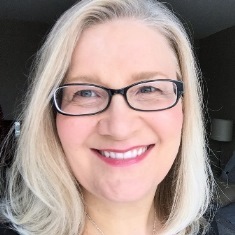 It makes me think more and more about the Montessori approach and/or homeschooling. Hmmmm....but that's another post for another day!